In 1912 the Bishop of Winchester said these words in a sermon marking the end of the R.M.S. Titanic: “Titanic, name and thing, will stand as a monument and warning to human presumption,” as well it should. Sadly, it seems that that Trump administration is doing its best to strip away vital safety, health, and environmental regulations that protect people from even worse disasters than that which befell the great ship 106 years ago today. The story of the Titanic has been told many times, and it should be a cautionary tale for those who in the name of profit and glory seek to dismantle safety and environmental standards. I remember reading Walter Lord’s classic treatment of the story, A Night to Remember back in 7th Grade. It made a tremendous impact on me, and every so often I will go back and read it again. 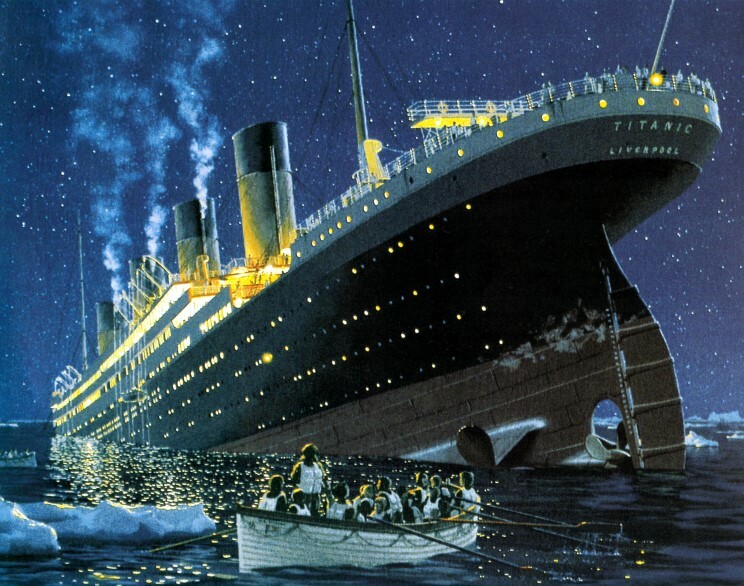 The word “if” probably the biggest two letter word that plagues human history, looms large in the tragedy of Titanic. The great ship, which was the largest ship and one of the fastest ocean liners of her time was the victim of her owner and operators hubris as much as she was that of the iceberg which sank her. The ship was heralded by Bruce Ismay, the Chairman and Managing Director of the White Star Line as unsinkable, a claim that was echoed in the press. Titanic was designed with the latest shipbuilding innovations, watertight compartments, a double bottom and equipped with wireless. She was billed as “unsinkable” by her owners but those innovations as advanced as they were for her day were insufficient to save her when her Captain and owners chose to charge through a known ice field at full speed. Her watertight compartments did not extent far enough up the hull to prevent water from going over them. Likewise it was never imagined that so many watertight compartments could be compromised. 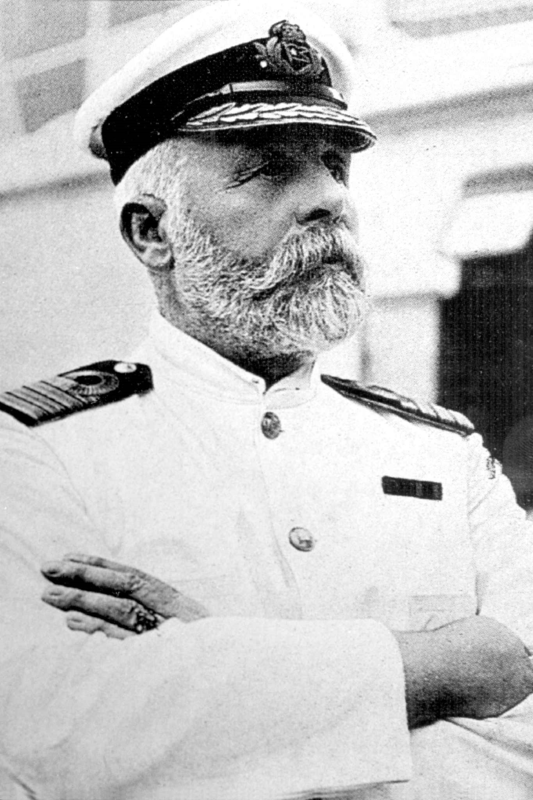 Ismay’s focus was on his bottom line and Captain Smith for all of his experience at sea was negligent for not allowing intensive sea trials before the ship’s first and last voyage. Likewise for not seeming to understand the difference between how a 20,000 ton 500 foot long ship and a 40,000+ ton and nearly 900 foot long ship respond to course and speed corrections and how much more time it takes to stop such a massive ship at full speed. But that was not all. There was no good system for the ship’s wireless operators to get critical information to bridge officers and even the messages about a large ice field ahead of Titanic were ignored, or dismissed and the ship sped on into that last dark night when she hit the iceberg. Once she struck the berg Titanic was doomed. Her much publicized watertight compartments were not high enough to keep the massive flood of icy seawater from overwhelming damage control efforts. Other design flaws quickened her demise. But there was hope. 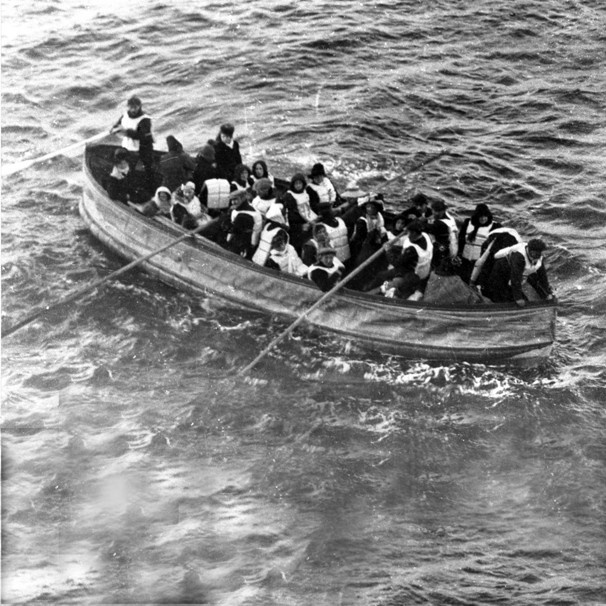 Other ships were nearby but through a combination of lax regulations, bad luck, and miscommunications none would arrive before Titanic slipped into the depths of the North Atlantic. There were so many “if only” moments. If only Captain Smith and his officers had slowed down as a precaution. If only the lookouts had binoculars to see further, if only Bruce Ismay had not been so obsessed with breaking speed records. If only the Californian had come. Californian was the nearest vessel to Titanic and in easy wireless range. However her wireless was unmanned, she did not have enough operators to man it 24 hours a day. Her lookouts saw Titanic but despite flares being fired from Titanic she never assumed Titanic to be in extremis. The next nearest ship, Carpathia heard the call and made a valiant attempt to reach Titanic but was too late. If only…so many “if onlys” and so many traceable to one man, the Director of White Star Line J. Bruce Ismay. Thomas Andrews who scoffed at the ship being unsinkable would go down with the ship; but Ismay ensured his own survival by stealing away in a less than half-full lifeboat, in some accounts disguised as a woman. Ismay is symbolic of men who allow their own hubris, vanity and power to destroy the lives of many. He is so much like those that helped bring about the various economic crises that have wracked the United States and Western Europe and so many other tragedies. He is much like Donald Trump. Ismay and Titanic are symbols of men guided only by their quest for riches and glory who revel in their power and scorn wise counsel or regulation, government or otherwise. They often believe that rules don’t apply to them. It is a cautionary tale for us today as corporations, lobbyists, and politicians seek to dismantle sensible and reasonable safety and environmental regulations for the sake of their unmitigated profit. Today we are seeing the Trump administration doing all that it can to strip away important safety, workplace, and environmental regulations in order to maximize profits. He even fought installing fire suppressing extinguisher systems in Trump Tower, something that led to the death of one of his tenants last week. But the warning goes far beyond that, it applies to any of us who adopt the mindset, “this cannot happen to us.” After all, there are times when we all end up as victims of our own hubris, such is the human condition. Thomas Paine wrote: “Character is much easier kept than recovered.”Those words apply to nations and government as much as they do to individuals. As you might have noticed I have been spending much time writing about the corrosive effect of what the Trump administration’s strategy of willful deceit, the denial of factual truth, and the creation of so-called alternate facts, truth, and reality, on our life as a nation. 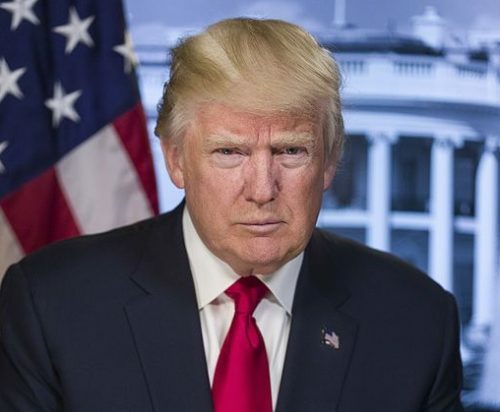 I am going to return to that because it appears that the strategy is continuing to be used, and that the administration is now scrambling to hide inconvenient facts from the FBI and Congressional committees investigating the possibility of the collusion of Russian officials with Trump campaign and administration officials. This effort spread to Representative Devin Nunes who is the committee chairman of the House committee investigating the allegations and who closed down that investigation claiming that he found no evidence of collusion with Russia despite the testimony of Republican and Democrats on that committee that Nunes had not investigate or interviewed many of the principles involved and who maintained that there indeed was collusion between members of the Trump organization, campaign, and administration with the Russians. This action was followed by the firing of former FBI Deputy Director Andrew McCabe and a fusillade of attacks on Robert Muller, James Comey, Ron Rosenstein, others involved with the investigation, and even Attorney General Sessions whose head is believed to be on the Trump chopping block. 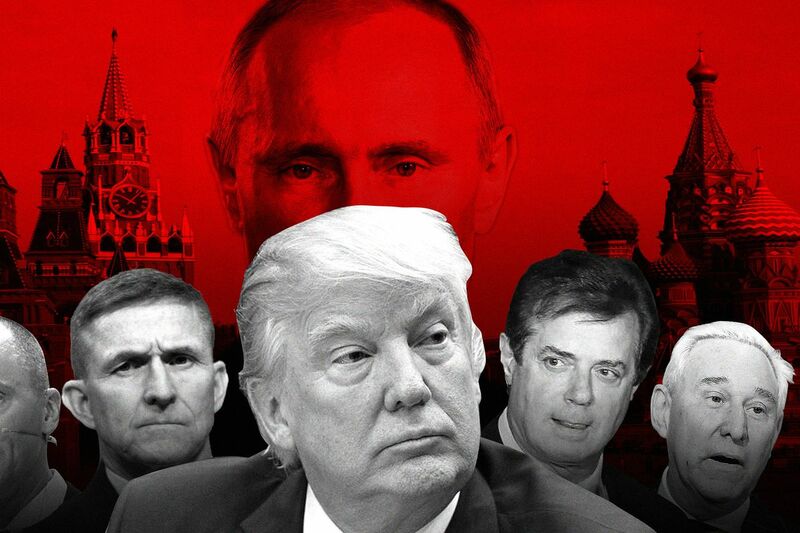 Every day more evidence is revealed that there is a very good chance that the Russians have compromised the President and some of his closest advisors and family members. That being said there are so many people in the administration that appear to be connected to Russian officials, including former Trump campaign chairman Paul Manafort and former National Security Advisor Michael Flynn, both who have been indicted by Robert Muller; Flynn even taking a plea deal in which he plead guilty to the charges against him. Likewise, others may have received large amounts of money from Russia sources to influence United States policy on the behalf of the Russian government and business oligarchy, particularly in regard to the Ukraine which Russia invaded and seized the Crimean Peninsula. Manafort appears to possibly be connected to Russian actions that led to the death of Ukrainians and quite possibly the shoot down of Malaysian Airline Flight 17. The President’s attacks on American allies which have culminated in imposing tariffs on steel and aluminum that hurt our allies more than our enemies are weakening the United States. Likewise his refusal to take action against Russian attacks on the American election system and electorate, and the vast number of outright lies and distortions that he tells on a daily basis give anyone with cause to believe that his word is not to be trusted. 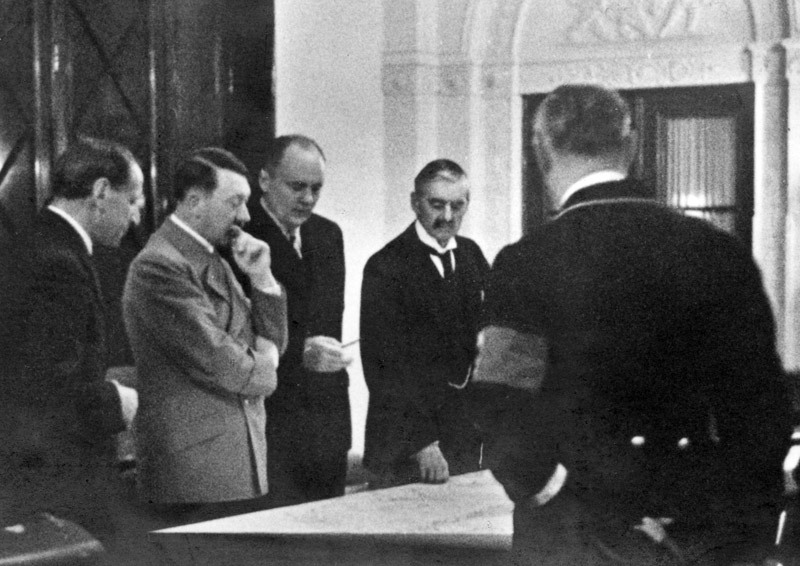 “Nor did the public realize how it was being poisoned and misled, not only by Fascist-minded leaders and newspapers, small in number but growing in influence, who on ideological grounds wished to accommodate Hitler and Mussolini, but also by Frenchmen who were being manipulated by German agents and money. It was at this time that Otto Abertz, the genial “Francophile” Nazi agent in Paris, became most effective. Easily penetrating political, business, social and cultural circles he worked tirelessly at winning their sympathies for Nazi Germany. He engineered trips with all expenses paid, for numerous politicians, intellectuals, industrialists, and leaders of the war veterans’ groups to Germany, where they were wined, dined, and otherwise feted, and fed with Nazi propaganda. He obtained lucrative contracts for French writers to have their books translated and published in Germany. He arranged interviews for French journalists with Hitler so that the Fuehrer could reiterate that he wished only peace and friendly relations with France. He was believed by the French secret police, which constantly shadowed him, to be the chief source of Nazi funds for buying French journals, journalists, and others of influence. Doriot’s openly Fascist daily, La Liberte, was almost entirely subsidized by Berlin. This was probably an exception. As Pierre Comert., chief of the Press Service at the Quai d’Orsay, testified to the Parliamentary Investigating Committee later: “The German agents at the time didn’t buy newspapers. They bought journalists. It was cheaper. And it was more effective. What will be said of the United States if its leaders betray its ideals, and its promises? That trust, if lost, will take a generation or more to regain, but the cost of that loss of trust will harm us all in ways that we cannot even begin to fathom. Just a short thought for today. I am writing something that will help describe my book Mine Eyes Have Seen the Glory! Race, Religion, Ideology, and Politics in the Civil War Era for potential publishers or buyers and in doing so I am having to write a synopsis of the book, which to really make interesting I have to go back and re-look at the draft text. My friends, that is the message of President Trump and the Republican Party today. They are evidenced in almost every statement and tweet made by the President and were on full display as he discussed the Civil War. Equal rights and liberties for all are a existential threat to the champions of oligarchy and thus they must be suppressed even if it means destroying the foundations of liberty, and that begins by destroying our history. I did my taxes yesterday as across the nation tens of thousands of people protested President Trump’s refusal to release any of his tax returns as he prepares to make wide ranging changes to the U.S. Federal Tax Code which according to most analysts would benefit him. In response the President derided them on Twitter. 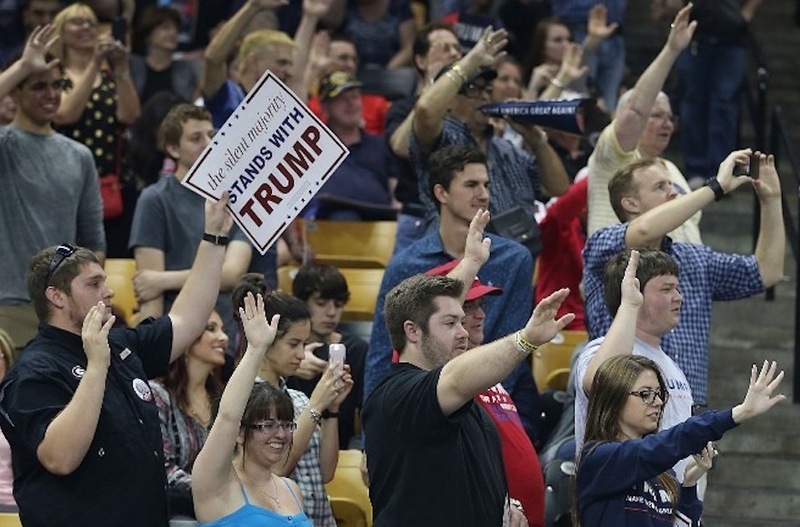 Likewise, in response to lawsuits about his encouragement of violence at his campaign rallies, Trump stated that since he won the election that he is immune from any actions that any court might find him responsible. 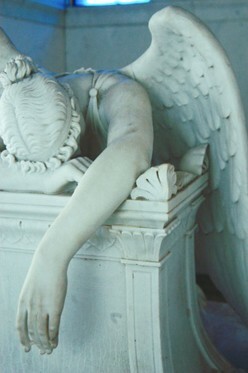 Even so many people seem not to care. Despite the fact that the administration lives in a “fact free” world where the President and his advisors can make up things with impunity and accuse anyone who disagrees with promoting “fake news” he is allowed by those who have the power to remove him to get away with it. But this is the normal path to power for any totalitarian. Those are not the words of a man interested in maintaining our Republic, its Constitution, or its laws; they are the words of an autocrat and a would be dictator. Sadly, despite the resistance of many people, I don’t think that anything will stop him from gaining that power. Our society is too atomized to come together in any meaningful way to stop him, and he and his closest supporters understand that fact. Despite his frequent mistakes, foul ups, and failures, he is given a pass by his supporters, as well as some in the media who think that firing a few missiles makes one presidential. His anemic approval rating doesn’t seem to concern him probably because his opposition, liberals and conservatives are so divided and distrustful of each other that they cannot come together to oppose him. Yesterday, the people of Turkey voted to change their constitution to give President Erdrogen and his party nearly unlimited power, paving the way to a one party dictatorship. Even a few years ago most experts said that such an outcome was impossible. No one should assume that the American experiment of a democratic constitutional republic cannot be destroyed. All it takes is a significant part of the populace that is willing to give up its rights for promises of security and prosperity, which is also willing to grant the government extraordinary powers for it to happen. As Timothy Snyder wrote: “People who assure you that you can only gain security at the price of liberty usually want to deny you both.” So with each new crisis, domestic and foreign, many engineered by the Trump administration itself and its media enablers unsettles us, further divides us, and frightens us, know that we are sliding more steadily into a totalitarian world with very passing day. In 1912 the Bishop of Winchester said these words in a sermon marking the end of the R.M.S. Titanic: “Titanic, name and thing, will stand as a monument and warning to human presumption,” as well it should. Sadly, it seems that that Trump administration is doing its best to strip away vital safety, health, and environmental regulations that protect people from even worse disasters than that which befell the great ship 105 years ago today. If only the Californian had come. Californian was the nearest vessel to Titanic and in easy wireless range. However her wireless was unmanned, she did not have enough operators to man it 24 hours a day. Her lookouts saw Titanic but despite flares being fired from Titanic she never assumed Titanic to be in extremis. The next nearest ship, Carpathia heard the call and made a valiant attempt to reach Titanic but was too late. 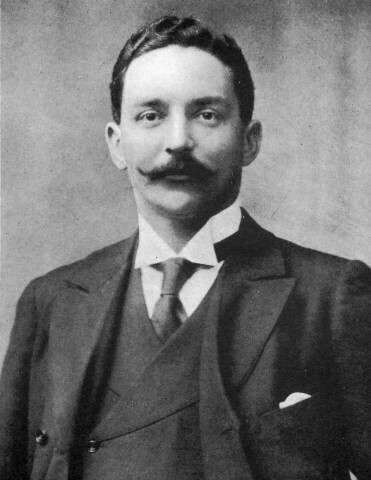 If only…so many “if onlys” and so many traceable to one man, the Director of White Star Line J. Bruce Ismay. 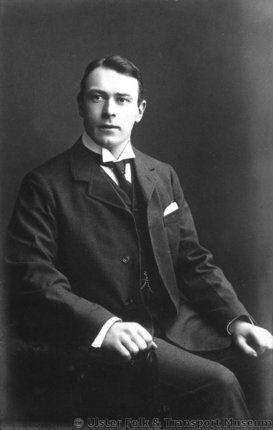 Thomas Andrews would go down with the ship but Ismay ensured his own survival. Ismay is symbolic of men who allow their own hubris, vanity and power to destroy the lives of many. He is so much like those that helped bring about the various economic crises that have wracked the United States and Western Europe and so many other tragedies. Ismay and Titanic are symbols of men guided only by their quest for riches and glory who revel in their power and scorn wise counsel or regulation, government or otherwise. They often believe that rules don’t apply to them. It is a cautionary tale for us today as corporations, lobbyists, and politicians seek to dismantle sensible and reasonable safety and environmental regulations for the sake of their unmitigated profit. Today we are seeing the Trump administration doing all that it can to strip away important safety, workplace, and environmental regulations in order to maximize profits. We have to be able to distinguish between truth and falsehood is essential to our humanity and to the functioning of a political system that is based on individuals who act rationally. That is one of the brilliant aspects of the preamble of the Declaration of Independence and the Constitution, is that the founders, being products of the Enlightenment understood human nature far better than many of us do today. They certainly were not perfect and they were often contradictory in the application of their ideals to the world that they lived in, but they believed that humanity should progress, and that government should be a part of that progress. I am disturbed by the blatant use of lies, half-truths, distortions, “alternative facts” and “alternative truths” by the Trump administration. Likewise I am disturbed by the actions of some Trump opponents who deliberately spread lies to further their opposition. Stooping to the methods of your opponent is never a good means of a movement to achieve its end, for if it does succeed in overcoming or overthrowing the regime that it opposes, it will end the end be no better. Likewise, it will have squandered its integrity, and lost the trust of people, and with it, its moral authority. Thomas Paine wrote: “Character is much easier kept than recovered.” Those words apply to nations and government as much as they do to individuals. As you might have noticed I have been spending much time writing about the corrosive effect of what the Trump administration’s strategy of willful deceit, the denial of factual truth, and the creation of so-called alternate facts, truth, and reality, on our life as a nation. I am going to return to that again because it appears that the strategy is continuing to be used, and that the administration is now scrambling to hide inconvenient facts from the FBI and Congressional committees investigating the possibility of the collusion of Russian officials with Trump campaign and administration officials. This effort appears to have possibly spread to Representative Devin Nunes who is the committee chairman of the House committee investigating the allegations. Admittedly at this point none of us know what transpired, if anything between the Russians, the President, and his closest advisors. That being said there are so many people in the administration that appear to be connected to Russian officials, those like former Trump campaign chairman Paul Manafort, former National Security Advisor Michael Flynn, and others may have received large amounts of money from Russia sources to influence United States policy on the behalf of the Russian government and business oligarchy, particularly in regard to the Ukraine which Russia invaded and seized the Crimean Peninsula. Manafort appears to possibly be connected to Russian actions that led to the death of Ukrainians.